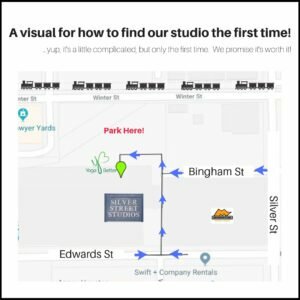 sYB – New Location is OPEN!! This entry was posted in Uncategorized on October 2, 2018 by Adugas. We can’t wait to share our new studio location with you! 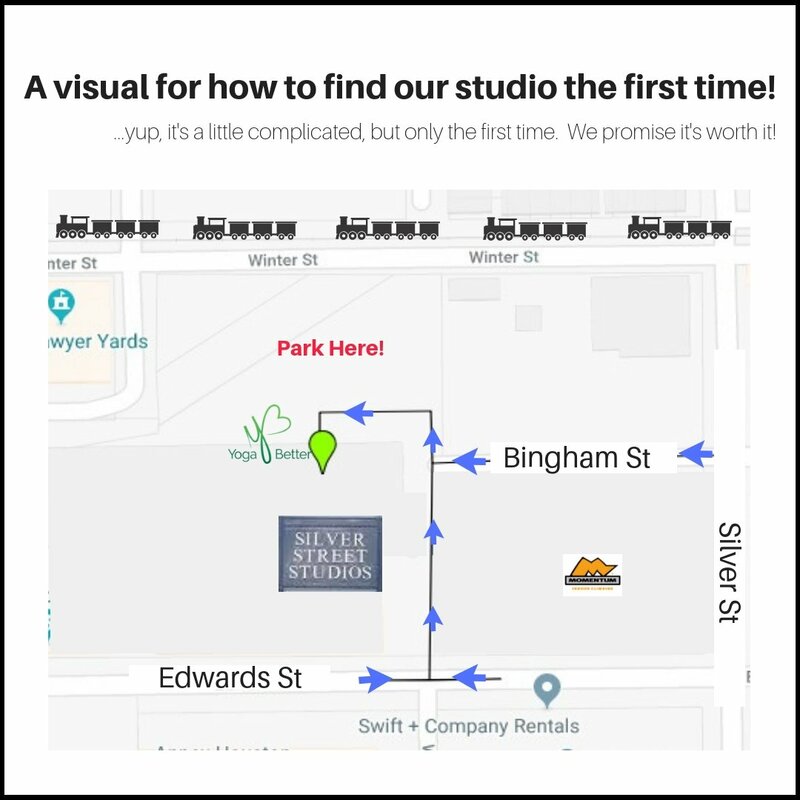 We are located on the North side of the Silver Street Studios Building. The first set of glass doors. We share the parking lot with Momentum Indoor Climbing. ← Saturday, September 8th = Opening party for our NEW STUDIO Location!